Ibanez' folk line contains high-quality instruments that combine classic craftsmanship and sophisticated modern technology to create authentic, inspiring, great-sounding and easy-playing instruments that authoritatively produce the sound of classic American acoustic music. 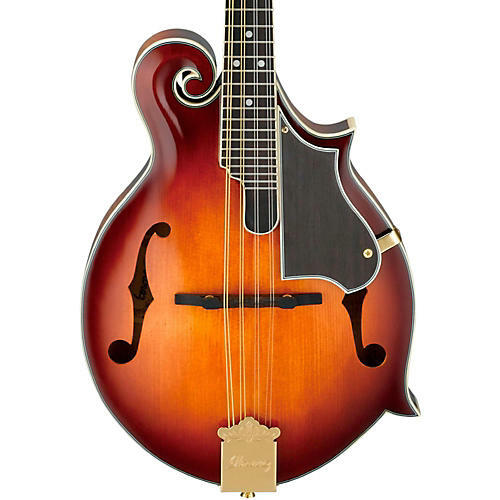 The M700AVS is an arch top F-style mandolin with a Solid Spruce top and Solid Flamed Maple back and sides. This finely crafted mandolin features incredible procection for soloing and chopping. The F-Style is the standard for bluegrass and is renowned for its punchy presence and full, bouyant tone for single-string lead lines. Order today, then stand and deliver the ancient tones that Bill was talking about.